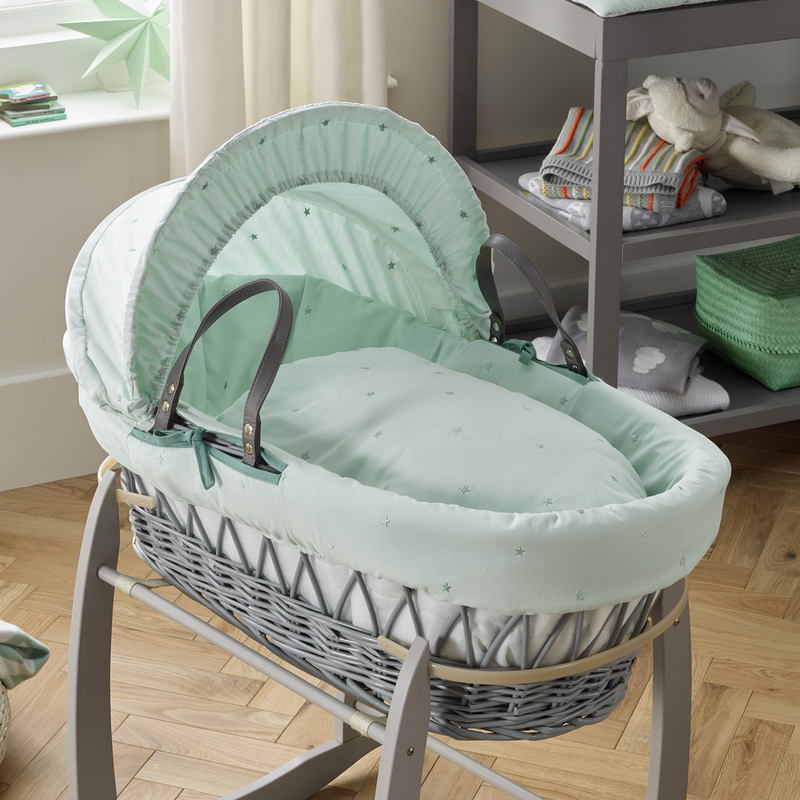 This stylish Clair De Lune Grey wicker moses basket is both crisp and fresh and is the perfect place to house your new arrival. 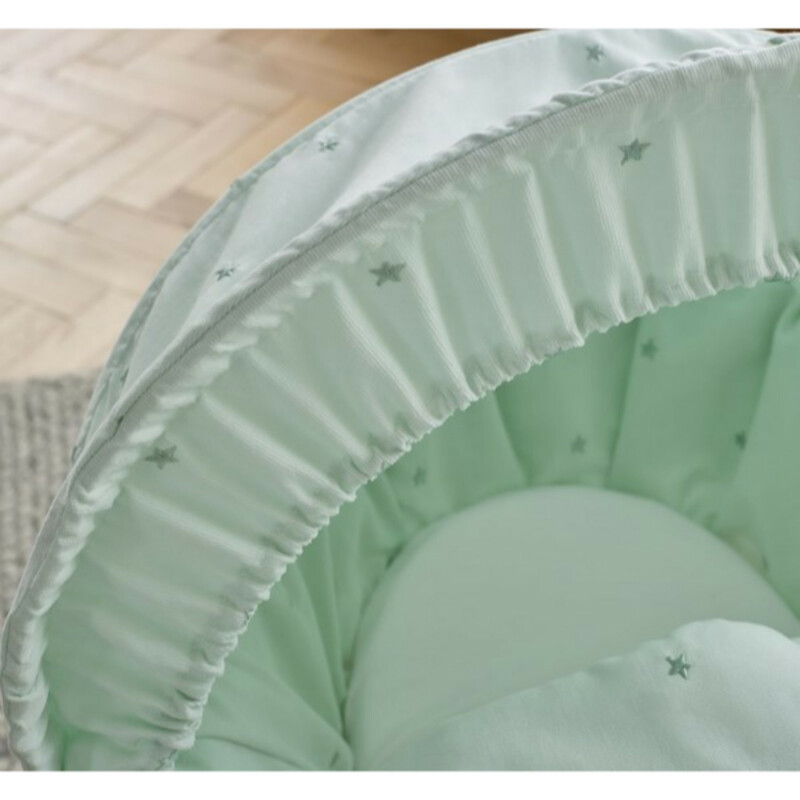 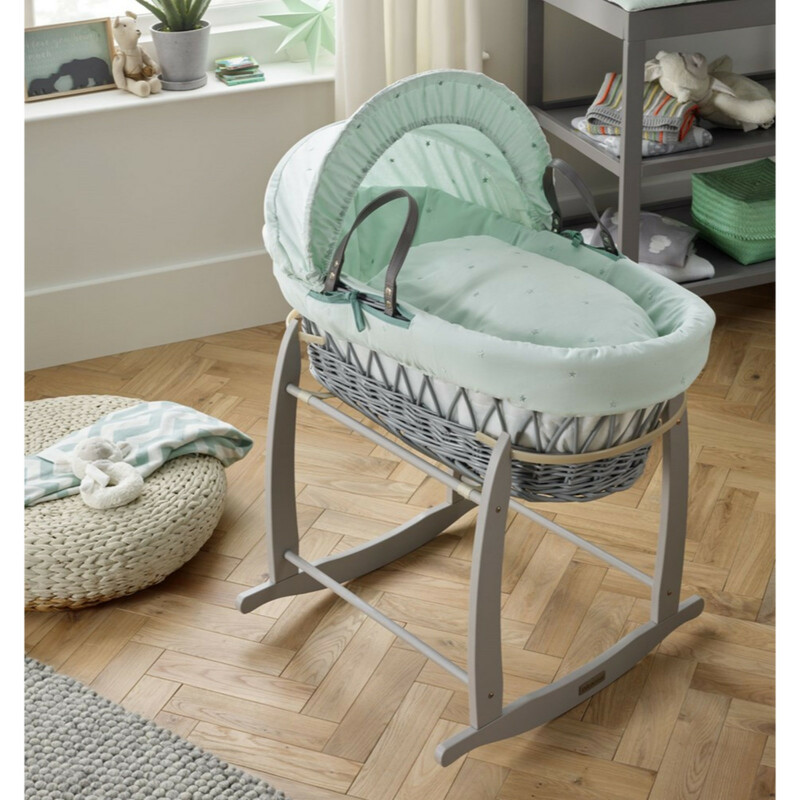 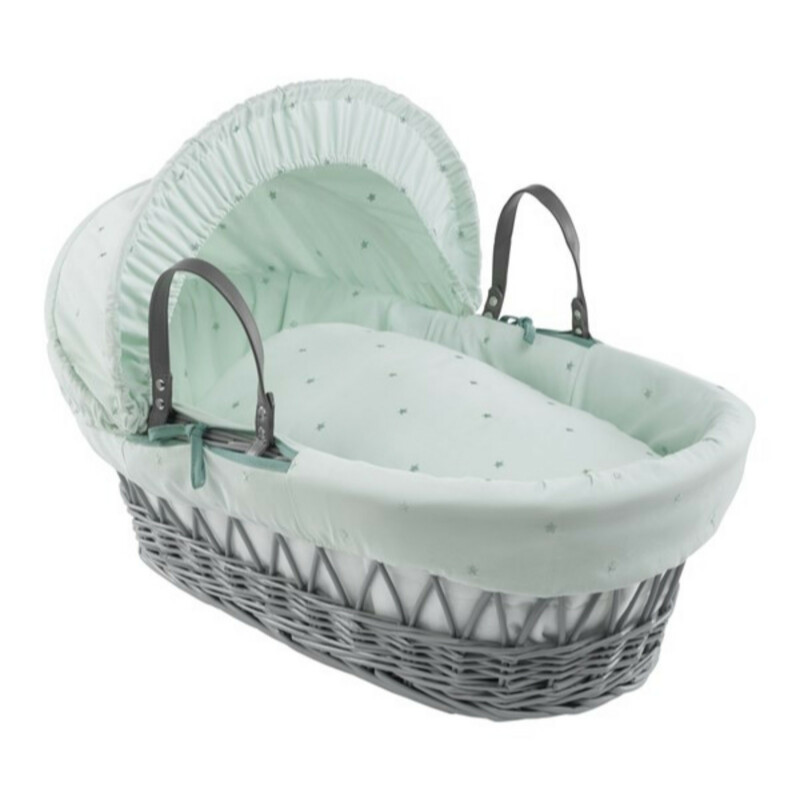 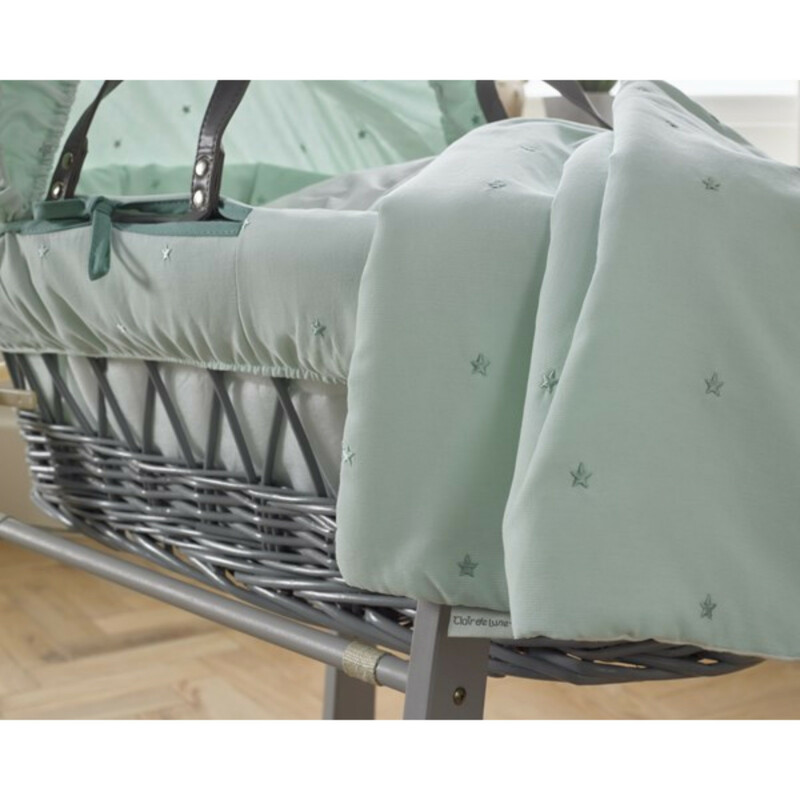 Made with top quality wicker with leather handles, the moses basket is lightweight and also comes complete with safety mattress, co-ordinating hood, quilt and a padded liner for increased comfort and security. 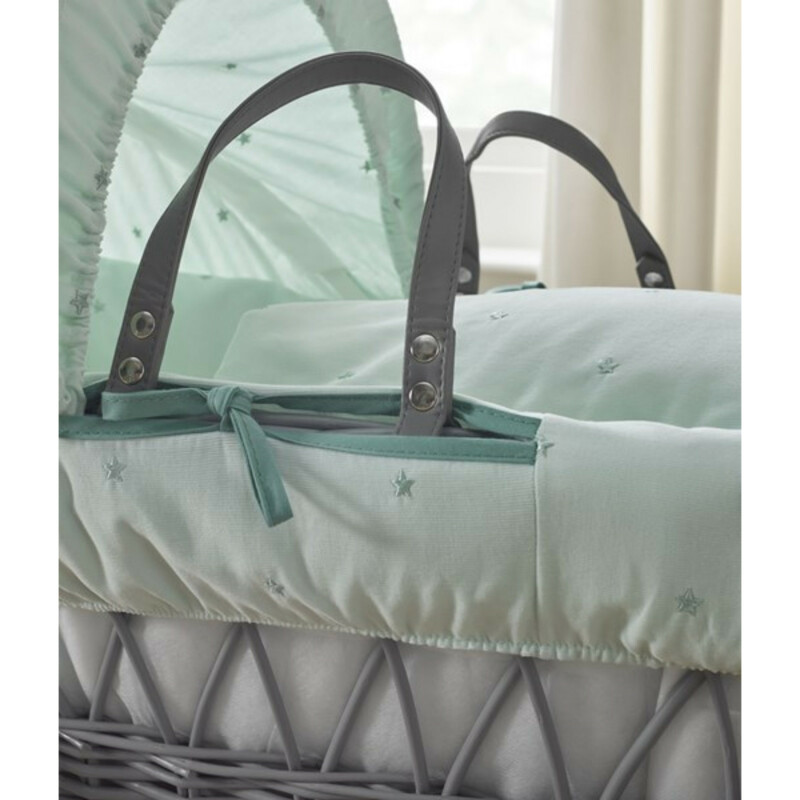 The ‘Lullaby Stars’ design features delicately embroidered stars on an coordinating background and is the epitome of style and quality.